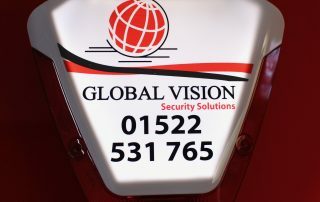 Global Vision will assist you with market leading design, planning and installation of your CCTV security and surveillance system, monitored 24 hours a day (optional) all at an affordable price. All handled by our own team of national installers. 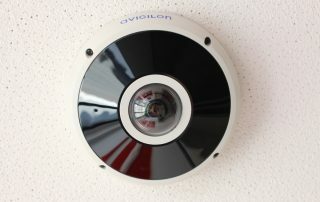 What are HD IP CCTV Cameras? 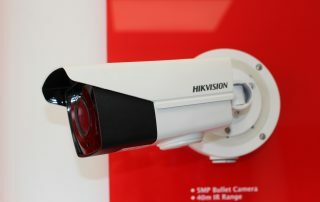 Just like television ‘went digital’ a few years ago, CCTV cameras now convert images to digital data and can transmit them over a computer network and the Internet, whilst this is no new technology by today’s standards, the HD picture element, is. 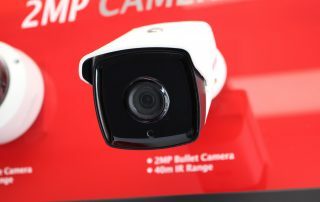 Offering in excess of double the resolution of standard digital IP cameras, HD CCTV Systems allow a much richer, detailed and sharper picture, allowing you to identify faces and number plates at a much greater distance than your standard Digital CCTV or older analogue camera. 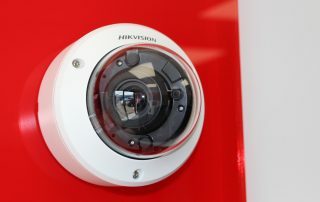 At Global Vision we can upgrade your existing analogue cameras, or work with you to design and install a completely new HD digital system. Flexibility: Your footage does not need to be recorded locally – the data can be recorded centrally or even remotely, providing far better security and management. 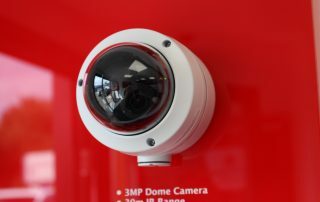 Future proof: IP CCTV systems grow incrementally with your business, meaning no major outlays when you expand your operations. Seamless integration: Integrate with other equipment such as your existing computer network, lighting, gates, barriers, intruder alarms and access control over single or multiple sites. Easier installation: Data can be delivered over existing infrastructure to minimise disruption, costs and reduce the need for unsightly cabling. Controlling and recording access to your premises electronically, using your computer system. With cards, biometrics, tokens and readers instead of traditional locks and keys with direct control over who has access to what areas. 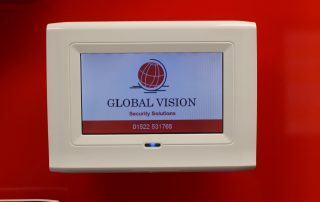 At Global vision we specialise in Paxton access control solutions, this is mainly due to their development team being focused on designing access systems that are fit for purpose to which they are intended. 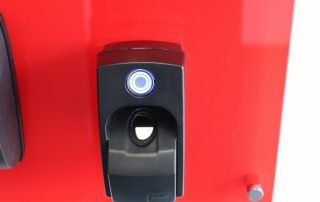 All Paxton access control systems are scalable, easy to operate and internally manageable, whether it be a simple single staff door entrance with time capture on entry and exit, to full building and fire control systems, right up to a multi thousand door university or government complex with the ability to even control lift operations. Whatever your needs may be, you can be assured that a commitment to quality from product design through to installation and support and maintenance with Paxton. 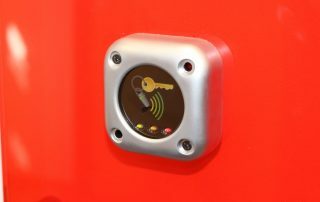 What are the benefits of a Paxton access control system? Implementing an access control system can feel like a big change in company practice. The access control should give the benefit of additional security without requiring time-consuming administration. 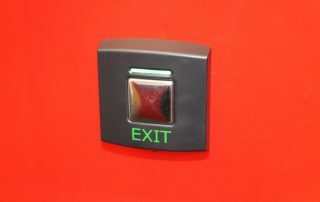 Paxton Access control systems bespoke training gives an intuitive and straightforward to administer solution. The increased security is a benefit to all, rather than a benefit for some and a headache for those who have to administer it. We are one of the UK’s premier Paxton Net2 installers resellers and repair partners; providing business and private sector installations the incredibly flexible and solid Paxton Net2 range of products. Whether it’s centrally controlled globally based buildings control or a single site with 1 door Paxton will have the access control solution for you. Net2 from Paxton is an advanced yet simple to administrate PC based access control solution. A Paxton net2 system offers centralised administration and control of sites from one to hundreds of doors and with up to 50,000 users. Perfectly tailor access privileges to groups or individuals quickly and easily using our intuitive, user-friendly software. Event reports can be generated in a few clicks and the single-door architecture makes specifying, installing and maintaining the system easy. 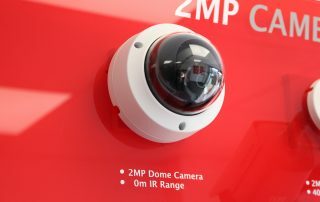 Advanced features such as site graphics, and IP CCTV camera integration and ‘Triggers and Actions’ further extend the capabilities of this cutting-edge system. Our commercial and domestic burglar and intruder alarm systems are fully integrated to deliver the precise security, protection and functionality you demand. 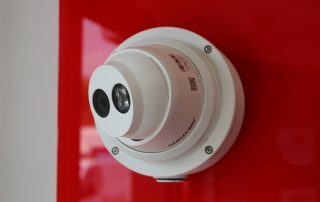 After an initial site visit to gauge your requirements we precisely design and match the intruder alarm installation to your business needs and working methods. 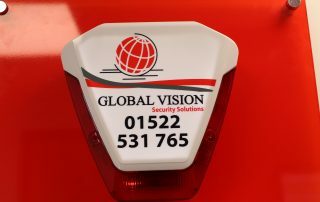 We install proven alarm systems, all of which conform to the most exacting British and European Standards. This provides both a very effective deterrent. We offer a full range of intruder alerts. From a phone call, SMS or email, to our high security remote alarm monitoring station – where we can engage the police if necessary. 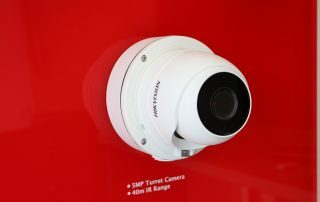 We are experts at seamless integration with IP CCTV surveillance cameras and other security systems, with the option of a monitoring centre for a complete, single security solution. Complete compliance with all relevant British Standards and National Police Chiefs’ Council (NPCC) policies. We provide a full intruder alarm installation, commissioning and maintenance service. Expert, remote diagnostic system to resolve any issues without the expense, time-lag and inconvenience of on-site engineer attendance. This gives you a better system, with lower on-going costs. 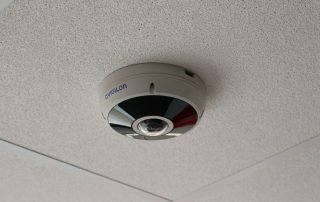 Offering everything from a complete solution, to simply adding the necessary extra technology and functions to a new or existing CCTV system, we are leaders in Intruder alarm installations. We have a team of fully trained alarm engineers who work to exacting professional standards, and perform all of our installations. Our business and domestic class gate automation systems are fully integrated to deliver the precise security, protection and functionality you demand; precisely matched to your needs.